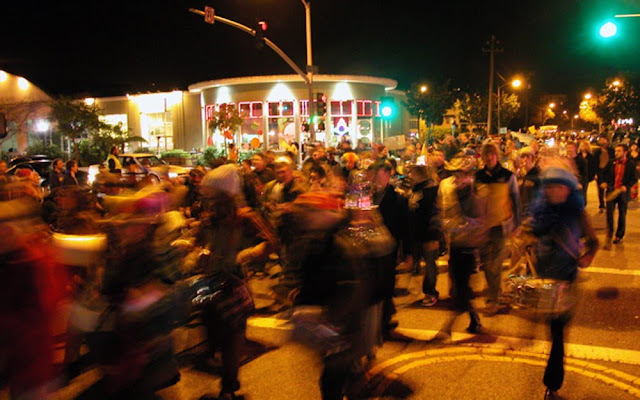 Five years after police attempted to shut it down, the Last Night DIY celebration still refuses permission to bring a homespun tradition to Santa Cruz streets. In it's fifth year, the do-it-yourself, grassroots celebration with a family-friendly parade, street party, entertainment, and performers to take over downtown for a evening of DIY adventure and entertainment. More than an evening's entertainment, this is a parade with a purpose. The message is simple: We can do it ourselves. From its beginnings in 2004, the parade is not about merely celebrating, but celebrating what we as a community can do outside of governments, corporations, and institutions. It is a celebration of both our autonomy and the support we bring to each other. In this historic moment, when the economy is spirally into the ground and the local community is plagued with violence, we have an opportunity to create something good and sustainable and compassionate -- the polar opposite approach of law enforcement. 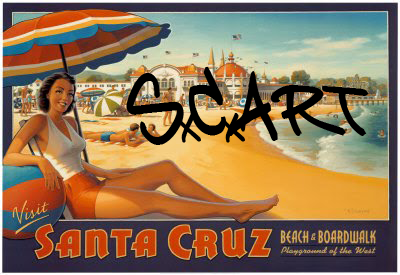 The spontaneous, open Last Night celebration is an antidote to recent reactionary groups who wish to take back Santa Cruz from "undesirable elements," a fear-mongering movement largely pushed by well-heeled white residents. This celebration has always been about taking back our streets and town -- but the people already at the bottom of the socio-economic ladder are not our enemy. This year, organizers asked themselves, how can we talk about families, and real people on the streets, and about controlling how these streets feel to us? This celebration includes a broad diversity of people including young and old, rich and poor, white and brown, English and Spanish speaking, housed and homeless. The Last Night website (lastnightdiy.org) states, ""We are not asking for permits and permission, nor are there any limits on participation. Our entire community is invited to participate and celebrate together." This year on New Year's Eve, the celebration will meet at 5pm near the Saturn Cafe parking lot on Pacific Ave and Spruce Street.